Room with Balinese atmosphere. 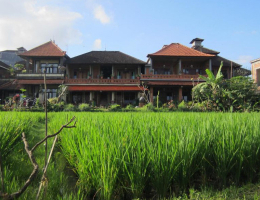 Private balcony overlooking beautiful rice field view, each room have fine art Balinese paint, exclusive interior with natural finished , high quality queen bed. Breakfast is served on your balcony. Standard room with Balinese atmosphere. 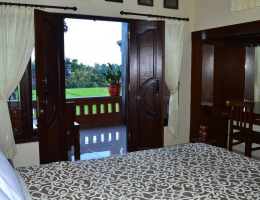 Private balcony overlooking beautiful rice field view, each room have fine art Balinese paint, exclusive interior with natural finished , high quality queen bed. Breakfast is served on your balcony. Standard room with Balinese atmosphere. 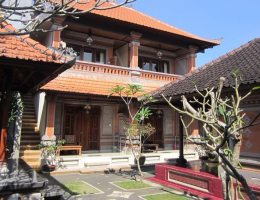 Private balcony overlooking garden view and sorrounded by Traditional Balinese Building. 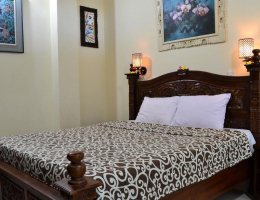 Each room have fine art Balinese paint, exclusive interior with natural finished , high quality queen bed. Breakfast is served on your balcony. 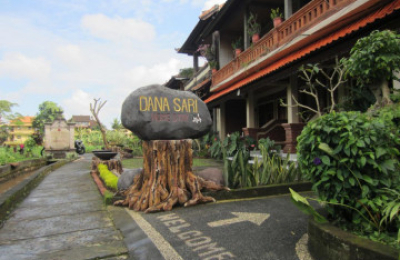 Danasari Homestay is located in Ubud Village which is famous for the arts, unique culture and traditions of Bali. 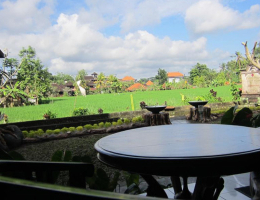 From our rooms, you can enjoy a beautiful view of rice fields still in the heart of Ubud. 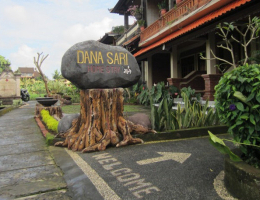 We welcome you to come visit and enjoy our Balinese Family Hospitality.